People all over the world love soccer (football), and what better way for them to connect than by using the Net? It's the world's sport and helps bring people together. 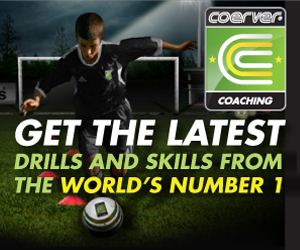 Today you can watch soccer videos or learn new soccer tips with on laptop or iPad or on a smart phone. It's amazing to think what it was like ten or twenty years ago or longer, when their really wasn't that much soccer on TV and the internet was just starting out. Today, access to the web and therefore soccer are everywhere and often in the palm of your hand when you have, say an iPhone near by. Below are some other soccer websites helping people work towards a common "goal" of improving your own soccer performance as well as websites that offer news and insight about the beautiful game. If you know of a quality site that should be included in the list below, please pass it along to us and we'll be happy to add them. 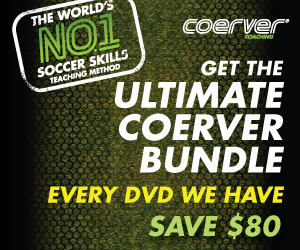 Coerver Coaching World's number #1 soccer skills teaching method. Soccer Camps International Attend soccer camps at some of Europe's top football clubs. FC Barcelona training session: Amazing rondo.